As you get ready to snowboard down the side of a mountain and the snow decides to take you for a ride on top of an avalanche, what do you do? If you are wearing a Float 30 on your back, you deploy the safety device immediately and ride out the avalanche with your head held high. 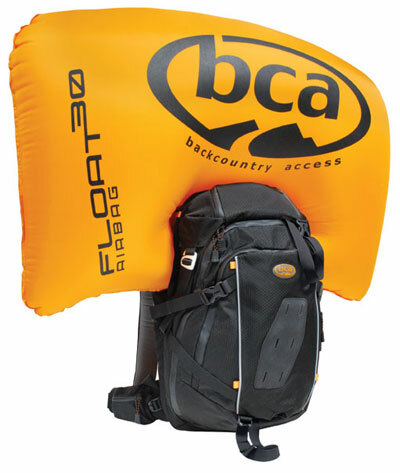 Just as an airbag saves lives in car accidents, the airbag in the BCA Float 30 can save the lives of skiers and snowboarders who venture into the backcountry and get caught in an avalanche. BCA says the airbag not only helps prevent burial but protects the head, neck and upper body from trauma. "I felt like I was riding a mattress down the stairs," Hytner told the BackcountryAccess.com blog. 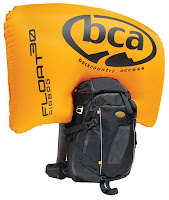 For BCA, the maker of these inflatable safety devices, the incident was another endorsement for its product and its life-saving capability. Interestingly, several of the commenters at the end of the BackcountryAccess blog were critical about the decision to even snowboard that hill, questioning the knowledge these professional snowboarders ought to have had to avoid such a situation. Nobody was questioning the intelligence of wearing a Float 30, however.